Notice that Apple did about twice its normal volume of trading on that day. That’s a strong indication that a powerful move is taking place. 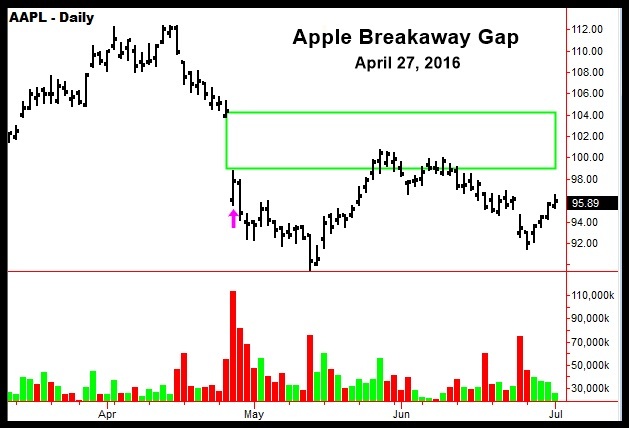 Apple opened down about $8 (pink arrow) on that day with huge volume, and was unable to fill the gap over the next couple of months. 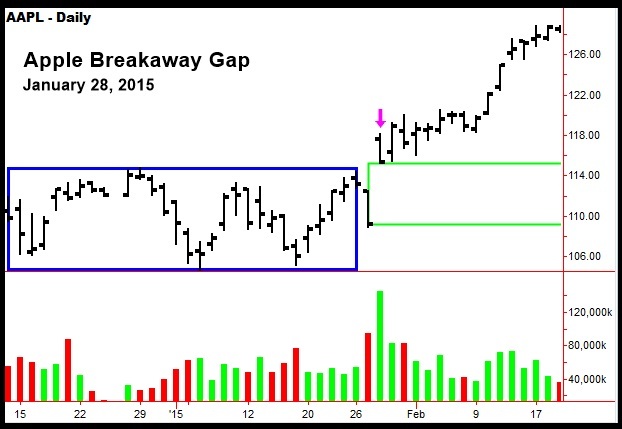 Gaps aren’t always caused by dramatic events such as earnings reports. In many cases, it is just a matter of the supply or demand becoming exhausted. For a detailed discussion of this phenomena, see my book: The General Theory of Day-Trading.